In Hollywood, everyone talks. And "everyone" means those in the industry with you as well as the outsiders, like us, who can only glean over whatever information ekes out. So what does that sort of vicious cycle create? Rumors, lots of 'em, ready for the taking and for the subsequent spreading around. So, while you may be reeling over Gwen Stefani and Gavin Rossdale's divorce, you should know that this isn't exactly out of left field. The former couple have dealt with multiple breakup rumors for quite some time now. As is the show biz protocol. So, was this the case of a self-fulfilling prophecy? Did the previous rumors ever have any clout? Or, were they simply strung together pieces of fiction devised by bored gossipers? It'd make sense if they were all just figments of folks' imaginations. I mean, when you're married for 13 years and avoid major drama, people tend to dream some up for you. It's one of the major pitfalls of being in the spotlight — your relationship is, too. Everything is scrutinized and maximized and it could make even the strongest couple look unhealthy. 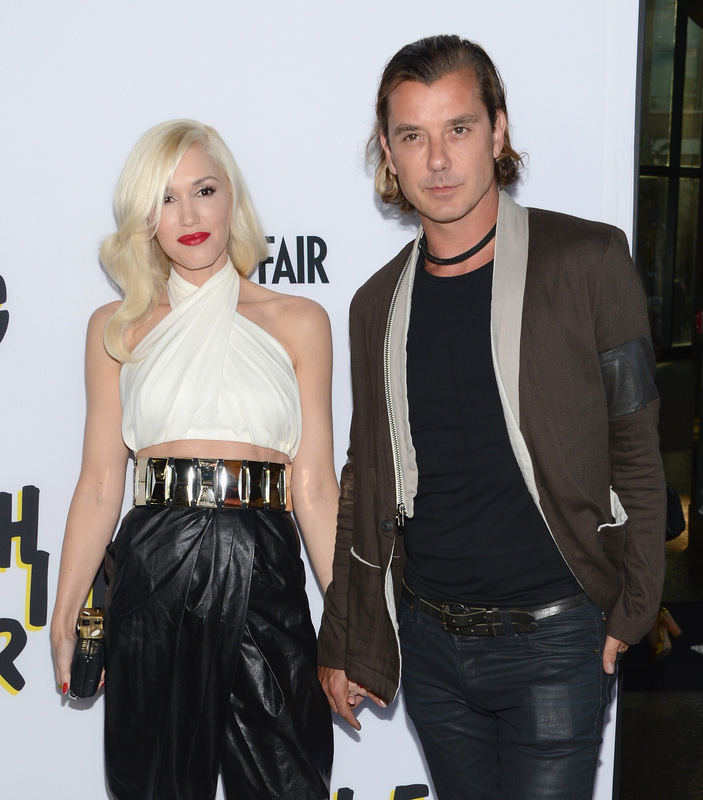 But, up until their very recent breakup, Stefani and Rossdale seemed to take all these rumors in stride. In 2009, there were rumors, as this article from Beacon Street Online states, mainly spun by Hollyscoop, that Rossdale had cheated on Stefani but that they were waiting for her tour to be done before going public with it. But, the No Doubt rockstar didn't have any time for that kind of talk and so her rep told Hollyscoop that, "This story is completely, 100 percent false." In October of 2012, Splash addressed the then-breakup rumors that began because both Stefani and Rossdale were caught leaving a couple's therapy session. Perhaps a bit shockingly, they asked Gavin Rossdale about them himself. When they asked him if he was in fact divorcing as per the rumors, he replied to them with a definitive, "Of course, not!" Splash pried just a little further, and asked, "Everything's good?" And Rossdale once again assured them that, "Everything's perfect!" The site also explains that Rossdale also took a bit of begrudging blame for some of the rumors that were spread, because of his poorly received joke. I’m pretty dry and I’ve got a decent sense of humor, so they say to me, 'You’re doing this, you’ve got a new record…'How do you guys find time for each other? 'And I said, 'We don’t, that’s why we’ve been together so long.' I was f**king around, that’s funny to me. Where I’m from, that’s funny. And it was funny, for about a week, and then it’s like, 'Oh…interesting.' So it’s just me and my big mouth. I guess we'll never really know which rumors had any credence and which were total fabrications. But, it's safe to assume that they couldn't have all been true — especially because the couple fought back against them so many times. Here is one thing I feel pretty comfortable calling a fact: We are all totally bummed about their divorce, whatever the reason.